Above photo 2009 by N Chadwick Creative Commons Licence. Mr. Cripps applied on behalf of Mr. Charles Woodman for a license to sell spirits by retail on the premises, at the "Flying Dutchman. " Southborough. Mr. Gorham opposed the application. Mr. Cripps asked by whom Mr. Gorham was instructed? Mr. Gorham replied by Mr. Garling and a number of residents, including five clergymen. Mr. Cripps maintained that Mr. Gorham could only speak for those by whom he was actually instructed, and that a memorial produced could not be put in unless the signatory were present to give evidence upon it. It had been so ruled by the Court of Sessions. The service and advertising of the notices was then proved. Mr. Cripps then stated the circumstances under which the application was made, saying that the house was desirably situated for the purposes of an inn; it abutted on the side of the highway, was in the midst of a thickly-populated neighbourhood, and had recently undergone extensive repairs. Mr. Woodman was called, and stated that he drew about 325 barrels of beer a year, and paid £48 rent. He was frequently asked by his customers for spirits, and he had ample accommodation. Mr. W. H. Wright, who had been the architect for the improvements, was called, and stated that his lowest estimate for the work now being carried out would be £139, but if what was anticipated was completed it would amount to two or three hundred pounds. The house was very substantially built, and could not have been completed for less than £800. It was also well situated, and in his opinion another licensed house was necessary for the neighbourhood. The "Bell Inn" was situated just across the road. Mr. Gorham submitted that, so far as regarded spirits, the present accommodation at Southborough was sufficient to supply every need of the neighbourhood three times over. At this point another argument ensued as to whom Mr. Gorham was instructed by. The Bench ruled that the memorial could not be received as evidence unless the signators were present to give evidence. Mr. Gorham said independently of the memorial, although he should not fail to use it if needs be, there was not the slightest ground for the granting of this license on the score of public necessity, which must be the first consideration in the case. Then, again, the nature of the holding in this application was not strictly legitimate. The application was made on behalf of Mr. Woodman, but in reality it was on behalf of the brewer, because his tenure could be terminated by three months' notice, and he had only been in the house a year and a half. It was, he (Mr. Warner) contended, an application by Messrs. Kelsey to improve their property. Then, again, as to present accommodation in Southborough, which he admitted was a rapidly-growing place, there were, he slid, nine public-houses or beer-shops within a radius of a mile from the "Flying Dutchman. " There was one place close to it, merely across the road, and still their worships were asked to grant a license in this case, simply because some people were obliged to walk to the opposite side of the road to get spirits at the "Bell." The tendency of public feeling was strongly against an increase of public-houses unless it was shown that there was occasion for it, and with that opinion he entirely concurred. He tendered the memorial, but the Bench refused to accept it as evidence. Mr. Cripps said as the memorial had been tendered as evidence by Mr. Gorham, he claimed the right of reply; but the Bench ruled that as it had not been received as evidence he had no right to reply. Mr. Cripps then said that as Mr. Gorham had raised certain points of law, he had a right of reply; but here again the Bench ruled that he had no right of reply, as Mr. Gorham had not raised any points of law. Mr. Cripps said it was the custom in all courts of law, where Jarvis's Act did not apply, for the justices to hear both sides fully so as to obtain the whole of the facts. The Bench, however, declined to accord Mr. Cripps an opportunity for reply. The Chairman announced that, as four of the magistrates were against the granting of the license, the application was refused. From the Kent and Sussex Courier, 31 October, 1873. On Tuesday evening, a pony and van belonging to Mr Bull, oil and colorman, of High-street, Tunbridge Wells, was passing through Southborough, to Mr Cotton’s, with a cargo of oil, candles, and such like commodities, and when opposite the "Flying Dutchman" they were run into by a horse and trap belonging to Mr Larking, timber merchant, of Maidstone. The latter trap was thrown completely over, the coachman, a man named Coomber, was thrown violently to the ground, and another man who was in the cart with him was couped up under the trap. He was, we understand, the landlord of the "Prince of Wales," Maidstone, and was very seriously injured, especially one foot and leg. He was taken to the "Flying Dutchman," and attended by Dr. Colebrook, and Coomber received the attention of Dr. Charlton at the "Hand and Sceptre Hotel," he having sustained an injury to his hip. They were, we understand, driving over to Tunbridge Wells to be in readiness to stamp some timber on the Eridge Estate. The boy who was driving Mr Bull’s trap fortunately escaped, and so did both the horses, though Mr Larking’s trap was considerably damaged. From the Kent and Sussex Courier, 19 August 1874. Mr. Cripps applied on behalf of Mr. Charles Woodman, of the "Flying Dutchman" beer-house, Southborough, for a licence to sell spirits, and enlarged upon the superior capacities of the house. 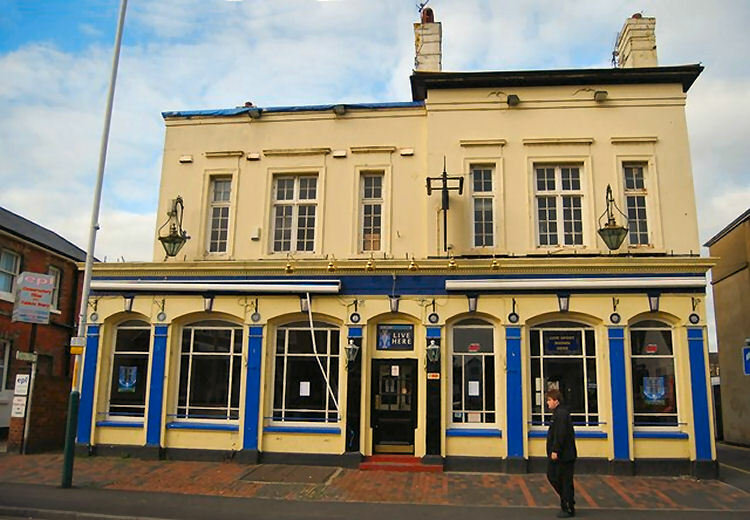 Mr. Warner opposed on behalf of the owner of the "Bell" public house opposite, and the Bench, before hearing the details of the opposition, refused the application, at the same time stated they had no doubt that the applicant bore a good character. Mr. Cripps applied on behalf of Mr. B. C. Holland, out-door beer retailer, of Tonbridge, for an in-door licence, but, after the intimation the magistrates had expressed in Mr. Mercer's case, he felt he could not press it, especially if Mr. Monckton, of Hectorage Farm, appeared in person to oppose it. The Bench said it was useless to proceed, unless Mr. Cripps had something special to plead. At the Tonbridge Petty sessions, on Tuesday, Sir. D. L. Salomons, the chairman, said he noticed that there was again and application for full license to be granted to this house. This application had been made every year for some time, and the landlord might take it for granted it would not be granted. Mr. W. C. Cripps, solicitor, who supported the application, said that after that information he should withdraw the application, merely remarking that the new tenant was a man of the highest possible character. From the Kent and Sussex Courier, Friday 10 April 1885. Mr. Watson, landlord of the "Flying Dutchman," Southborough, applied for an hour's extension on the occasion of a tradesman's dinner at his house. 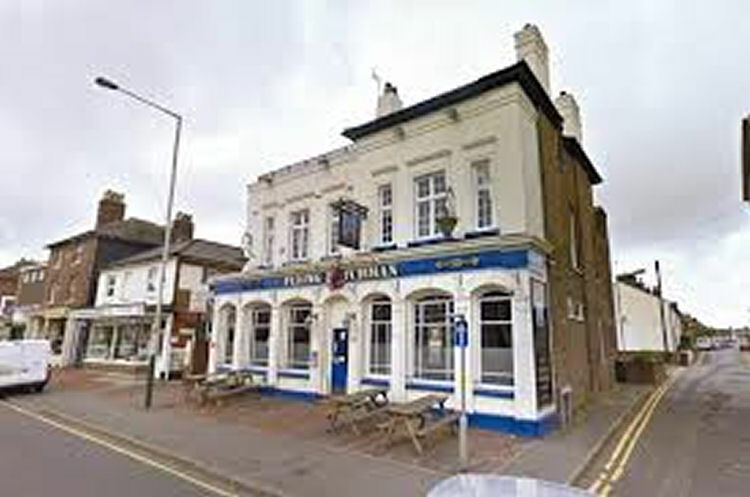 I believe the pub changed name to "Ryan's Bar" between 2004 and February 2009, but later reverted to its original name again and latest information (2017) tells me that it is again closed for business.